Plumbing, Heating, AC, Electrical Service Business: Can Your Business Have Too Much Profit? The service business is an interesting business. It has its ups and its downs. The downs are often related to weather in the HVAC service business. A cool summer or a warm winter can slow down the customer’s need for service and reduce the opportunities for system replacements since the systems aren’t taxed with mild weather. The plumbing, HVAC and electrical service businesses are usually affected by poor economic times. When customers are concerned about their income and expenses they tend to let maintenance and service go or look for cheaper (in their eyes) alternatives such as friends or a handyman. Contractors tend to tighten up the purse strings when the economy is slow or the weather does not cooperate. They put off new trucks, computers, tools, and needed repairs on those items. After all, they need to meet payroll, satisfy suppliers and pay their taxes. I’ve been there and done that through several recessions and a number of poor weather seasons. That’s what a small business does to survive. Many of my clients had very good years in 2013. Some even had record growth and record profits. In Michigan, the cold weather of December and January resulted in the phones ringing. At least two of my clients had record January sales and profits. What a way to start the year. But, what happens when a service business has a very good year or even a very good month? Often the first reaction is of joy and high fives as it should be. Then suppliers and other vendors are paid so accounts with them are current, again as it should be. But here comes the concern I have that a profitable year or even a very profitable month causes owners to spend on computer upgrades, trucks, tools, give oversized wage increases, and buy stuff for owner use. They don’t do it at a reasonable pace but tend to forget about the need to have some reserves since another stretch of tough months may be ahead. 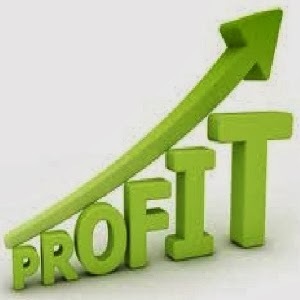 Funds are spent with the thought that the next month or season will also be very profitable. They also forget about paying down on their line of credit since the bank may only require a payment of interest or minimal principle. The Ant and the Grasshopper, also known as The Grasshopper and the Ant (or Ants), is one of Aesop's Fables, providing a lesson about the virtues of hard work and planning for the future. Similarly as business owners, we should be storing up our abundance for the difficult times that inevitably will be coming. When we are prepared for slower business, we can pay our vendors on time often getting better pricing and terms. We can get materials without scrambling around to try and get them since our credit may be tarnished. We can be prepared to take on additional opportunities when business picks up. Financial reserves give a business a better chance for survival and a chance to grab opportunities when they present themselves. The answer is NO a business cannot have too much profit but the profit must be used wisely. Dan has been in the service industry for nearly 50 years. He has operated a large plumbing, heating and air conditioning service company and for the past 12 years has helped small companies in the service business to grow and prosper. Check us out at www.SayYesToSuccess.com.